Forget lying in a memoir, we should be talking about what it means that Mortenson’s Central Asia Institutes in Pakistan and Afghanistan are failing. 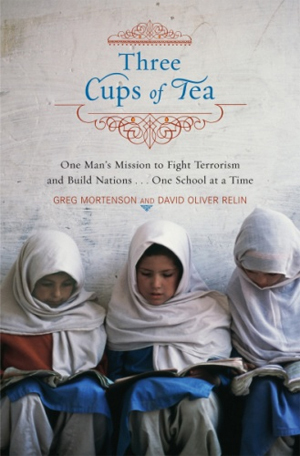 The 60 Minutes expose of much-lauded author and social entrepreneur Greg Mortenson (Three Cups of Tea; Stones into Schools) is rocketing around the web. Best-selling author Jon Krakauer has even devoted an entire e-book to excoriating the man he once supported. Forget the complaints about the memoir tarted up to make a more exciting read, the important part of the scandal is what’s happening at Mortenson’s charity and why the schools it has built are sitting empty. With just a glance at the books, CBS News found that Mortenson’s charity, the Central Asia Institute (CAI), spent more on “education and outreach” in the U.S. (including full-page ads in The New Yorker for Mortenson’s own book, proceeds of which did not go back to the nonprofit) than it did on building schools in Pakistan and Afghanistan. And upon visiting 30 of the 141 schools that CAI claims to have built, they found half of them were empty, being used for storage, or hadn’t received any outside support for years. But while that’s deplorable, it’s not simply a function of CAI focusing on Mortenson’s publicity instead of development. This happens to many development projects around the world, no matter who is building them. effective development work–namely, intense local involvement and careful oversight at all levels.